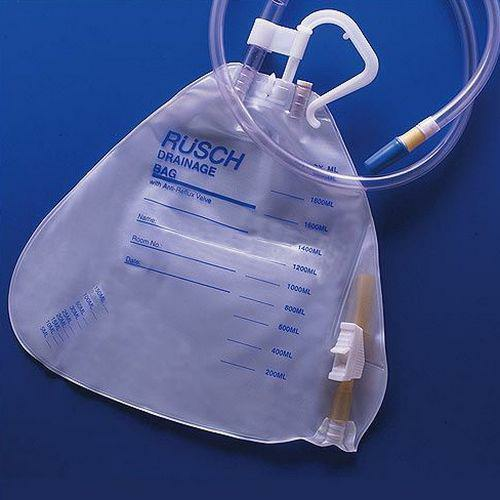 Rusch Urinary Drainage Bag is designed with anti-reflux valve, hook hanger and center entry. The high grade vinyl bag with a maximum capacity of 2000 mL (cc) is vented and comes with a latex bottom outlet tube. 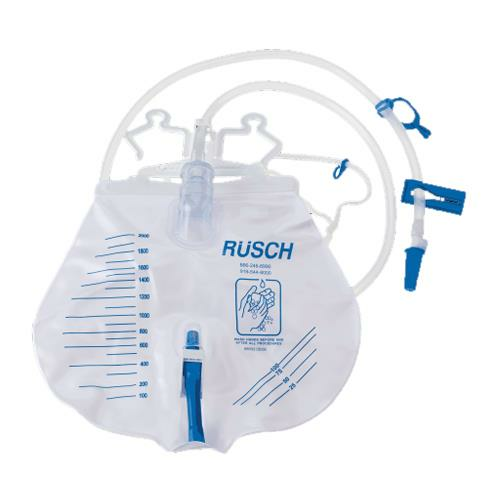 Unique design of the bag allows for easy filling and emptying of the bag.